“We respected the story we started with, and ran with that, so you kind of get some payoffs there if you’ve played Portal 1. And we expanded the world out a lot…. 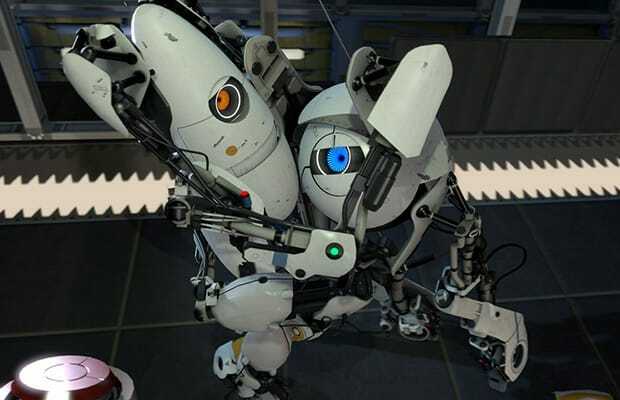 In Portal 1 you saw the testing labs and behind the scenes, and in Portal 2 there are all these different areas you can go to, you can see all these different sides of Aperture Science, and learn all this stuff about that’s going on there, about GLaDOS, and [hesitates] other things going on there… it’s so hard to talk about!"